Positive: Modern design; nice dual cameras; smart AI mode; good display. Negative: Low autonomy; unsupported waterproof; no face ID; no wireless charging. Positive: Powerful hardware; nice design; decent display. Positive: Elegant design; high performance; large battery capacity; good price. Positive: Good price; powerful hardware. Negative: Poor cameras. Positive: Good price; nice cameras; decent display. Negative: Weak processor. Positive: Nice design; good speakers; high performance; solid workmanship. Negative: No NFC. Positive: Powerful processor; good cameras; nice display; large battery capacity. Positive: Large battery capacity; powerful processor; flexible fingerprint sensor. Negative: Relatively high price. Positive: Good price; nice design; high performance; decent cameras. Positive: Good price; nice dual cameras; excellent display. Positive: Good price; impressive design; decent cameras; long battery life. Positive: High autonomy; large screen; nice performance; decent processor. Negative: Relatively high price. Positive: Good price; nice design; decent hardware; good performance; nice display; fast fingerprint sensor; long battery life; good cameras. Positive: Elegant design; nice display; good cameras; combined slot; quick charging. Negative: Slippery; short battery life. Positive: Stylish design; great built quality; nice performance; good price. Positive: Nice dual cameras; decent hardware; good price; solid workmanship; excellent display. Negative: Unsupported waterproof. Positive: Modern design; nice dual cameras; excellent display; high autonomy; good price. Negative: Low performance. Positive: Premium design; nice display; good speakers; large battery capacity. Model: Motorola has a long story when it comes to making cell phones. Here we are, having the next iteration of G series. G series to some extent represent the budget line and just like last years G5, G6 is no different. Moto G6 comes in 3 different flavors. 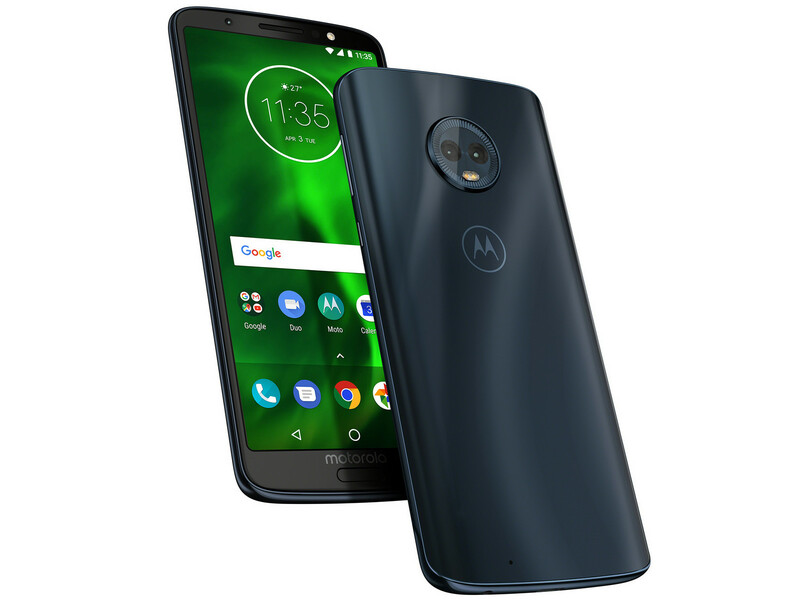 Cheaper Moto G6 Play, Moto G6 for midrange and somewhat premium Moto G6 Plus. I will be playing with G6 today. How does it feel? It has a glass body, can be held with just one hand, anything else? Nope. Oh, maybe 3.5 jack for stereo output, that’s something to mention about. As I mentioned, the G series represents budget phones for Motorola. With a price tag around 249 dollars, the G6 is the real example of it. Since the price tag is this low, I can find hardly anything to criticize. Sure thing, we need to get something when a price is paid. But look, you get a quality case, 12 MP + 5 MP dual rear cameras (G5 used to have 13MP), almost 2-day battery life, if you just use it for phone calls of course. The camera is just average, yes just average nothing more. The Snapdragon 450 processor and 3 to 4 GB (depending on region) of RAM is provided with the device. It is adequate for day to day usage. Meaning, don't expect to play very high demanding games. But if you are someone using your smartphone just lets say for business, it will be more than enough. One big advantage of the Moto G6 is that it comes with stock Android, no bloatware, no headaches. To keep the price down, the not so essential water and dust resistance is gone. If you ask me, it is not a big deal, for the past 15 years of my cell-phone usage, there was only one occasion that my phone was water damaged and it is really an exceptional situation. So yeah, no need to pay for IP67 or IP68 certifications. When it comes to budget phones, my answer to “Would I buy it?” becomes a bit hard to answer. For starters, almost all budget phones look similar, whether it is the outlook or internals. Secondly, the competition is very strong. Xiaomi is a big player in this segment and it can be cheaper most of the time and there are other Chinese brands like Honor from Huawei. I would buy this smartphone, just because it has stock Android compared to other manufacturers. Other than that, I think it is no different from the competition. No premium features, nothing special to spend more than a few minutes for deciding. 81.72%: This rating should be considered to be average. This is because the proportion of notebooks which have a higher rating is approximately equal to the proportion which have a lower rating.